Grimes (real name soon to be c) has been making headlines for her recently made public romance with Elon Musk, but she's back to getting attention for what she's best at — making music. The Canadian-born producer has teased an upcoming collaboration with burgeoning K-Pop stars Loona. 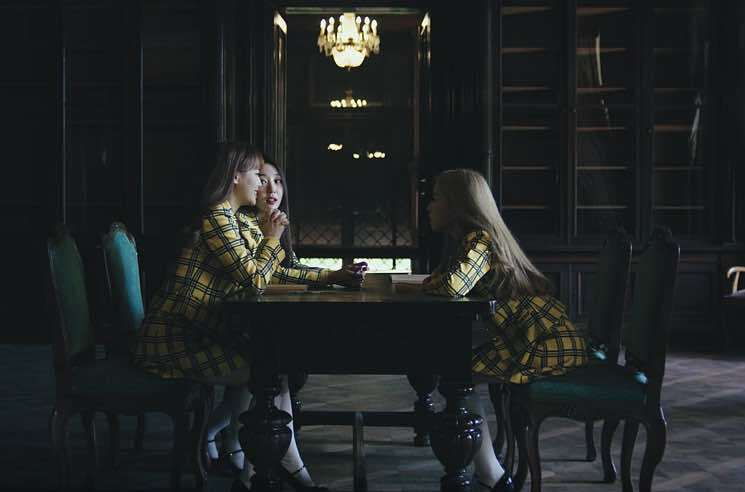 Titled "love4eva," the track has been previewed with a video clip that sees a handful of members from the 12-member girl group donning yellow plaid outfits that would make Cher Horowitz proud and sitting around a lavishly furnished mansion, as others run off into the surrounding forest. The song itself promises to be a bubbly, synth-infused pop jam, and you can get a tiny listen to it in the clip down below. The full song is expected to arrive on May 30.